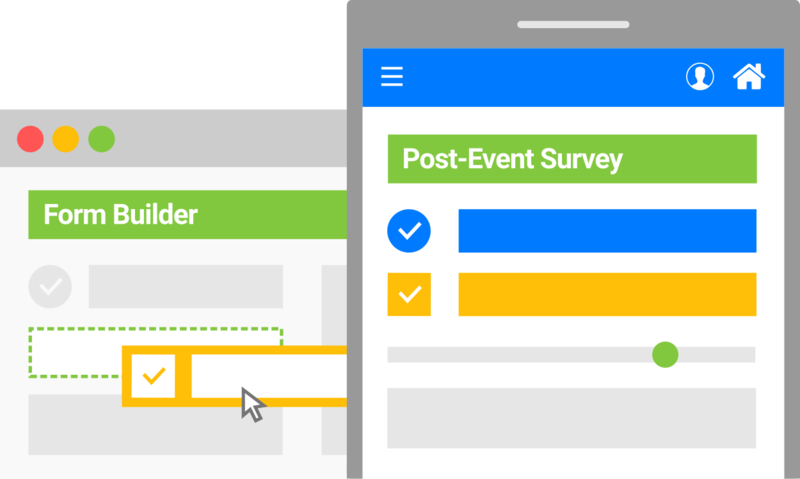 Quickly capture, embed, export, and automate your forms and surveys throughout your entire event. There are always custom bits of data you need to capture, and PheedLoop makes it super easy. Embed custom forms into registration and websites, down to individual speaker, exhibitor, sponsor and proposal portals. In many cases, PheedLoop will also automate the task of sending out form completion reminders! Capturing attendee feedback is a critical (and difficult) piece of event management. PheedLoop automatically sends your survey out, tracks engagement, and sends reminders to maximize your response rate. PheedLoop is dedicated to helping you capture as much post-event attendee feedback as possible, leading to better and better events! 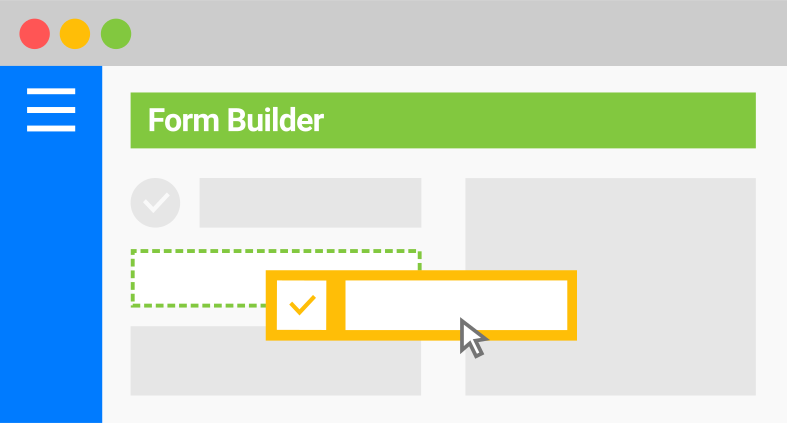 Building custom forms is incredibly easy when you use PheedLoop's interactive form builder. Add your own questions of any type, and simply drag and drop to create your perfect form. You can even embed images, links, and rich-text directly into your forms! PheedLoop's form builder supports the ability to add any number of text input, multiple choice, or single choice question elements. You can add in-line help text as well. 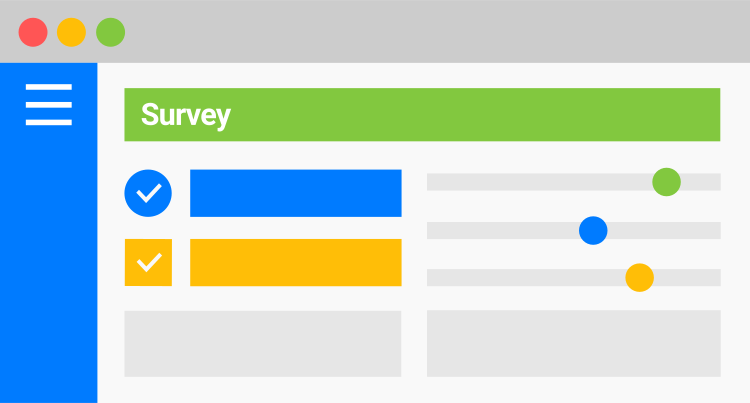 Can I create general surveys? Absolutely! 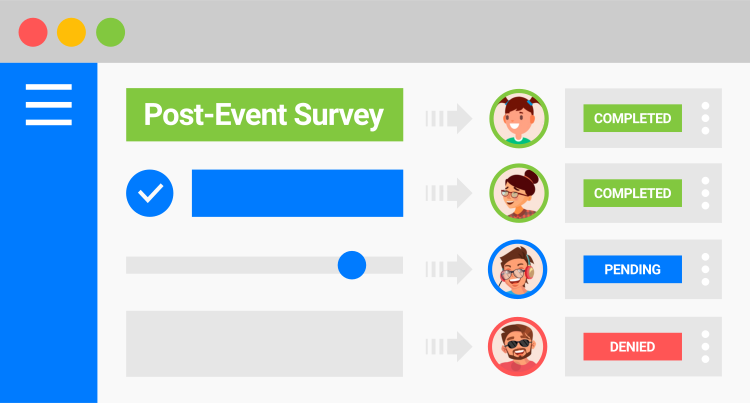 Some forms are embedded in your other PheedLoop systems, but others can simply be general surveys which you can send to attendees and track engagement. Can I edit form responses? Yes, all form responses can be edited, and depending on what the form's purpose is (e.g. exhibitor survey, call for proposal questions, etc. ), applicants themselves can edit responses. How long do post-event surveys run? By default, post event surveys built through PheedLoop run for 4 weeks. In other words, PheedLoop automatically follows up with attendees for 4 weeks if they haven't responded.